Join us for our first cabaret of 2019! Contact us to secure your booking now! Come and learn some of the most popular ballroom dances from our professional and friendly team at DancePower! Whether you are joining a class individually or as a couple, we cater for everyone! Let us guide you through the beautiful modern waltz, and take you to Latin America with a cha cha cha! Each course covers between 6 and 7 of the most popular ballroom dances - a great mix which everyone enjoys! Each course runs for 8 weeks, at the discounted price of $120 per person if paid upfront. Alternatively, you can pay each week, at $20 per class. Both payment options include free entry into our Wednesday Night Social Dance. Please find our course dates for 2019 under the News section of our website. Let us guide you through the beautiful modern waltz, and take you to Latin America with a cha cha cha! Each course covers 7 of the most popular ballroom dances - a great mix which everyone enjoys! Our improvers level class is ideal for those who have had some ballroom dancing experience and want to learn some new moves! Our intermediate class caters for dancers who have covered the basics and want to learn some of the more difficult variations in each dance. 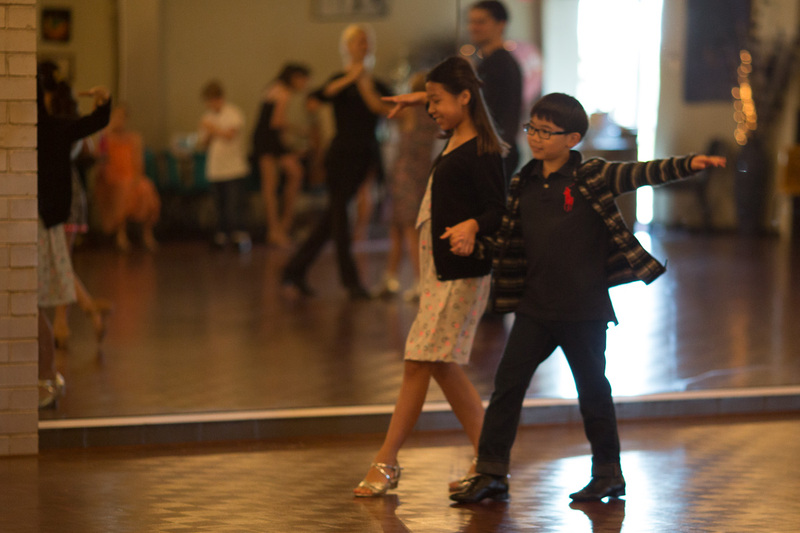 Our intermediate class is split into two terms, with 4 dances being covered in each term. 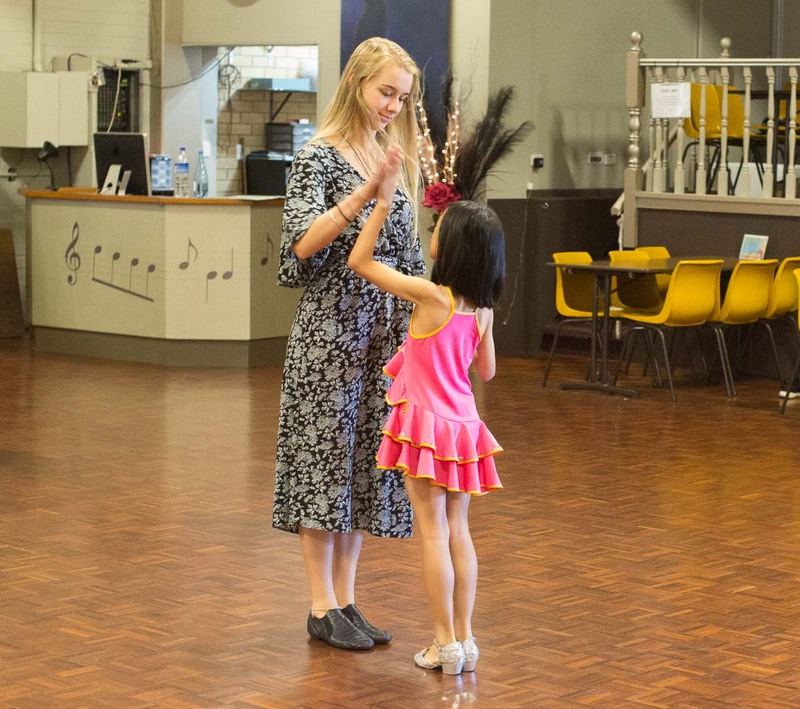 Having fewer dances per term than our beginners and improvers classes, our intermediate class focuses on explaining correct technique which will allow you to dance more difficult variations with greater ease. Our advanced class is for dancers who have good dance experience. The routines we teach in this class are more advanced than our other social dance classes, and the class focuses on bettering your technique and understanding. 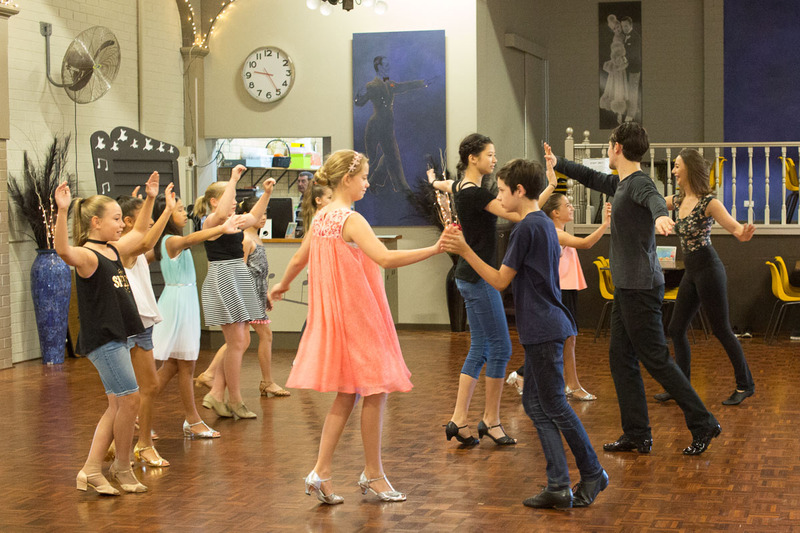 In the advanced class we teach a variety of dances from the Modern Ballroom and Latin American styles. New Vogue and Modern Sequence dancing is extremely popular with social dancers, as due to the set sequence of steps it makes it possible for anyone to partner whoever knows each dance. Each course covers between 4 and 6 dances, with the dances being rotated each term. In this course we teach dancers the patterns of each dance as well as technique and advanced styling. Do you love ballroom dancing but want to try a brand new style? Our street latin class is an exciting new course that will teach you how to salsa, merengue and bachata! We also have a street latin night every few months running at the studio, so this course will provide you with the chance to learn some steps so that you can come along and dance the night away to the live band at those events! This course commences on Friday August 10 at 8pm. $120 per person if paying for the term up front, otherwise it's $20 per class. Bookings are essential so please call us on 9330 2455 to secure your place in this fantastic new class! Come and join us from 8-10pm for our weekly social dance night! 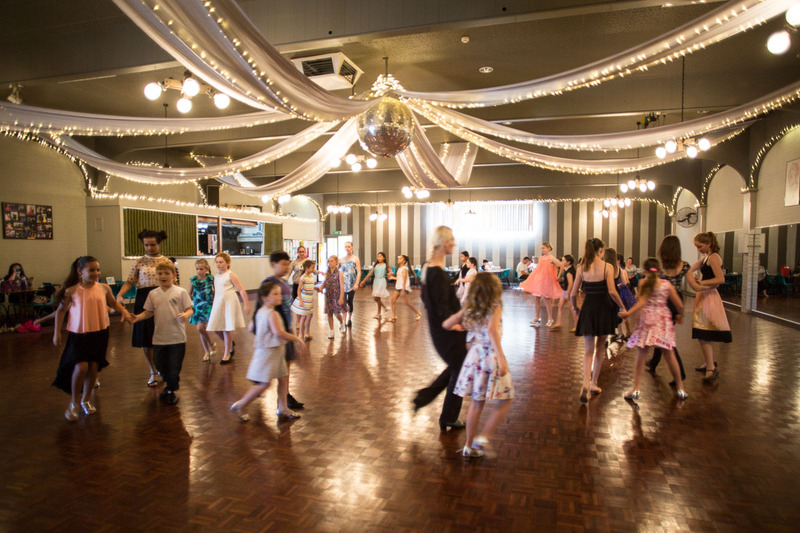 With a half hour instruction class included each week, our social dance represents fantastic value for money, and is always a great night of dancing! Singles are most welcome - we have a dedicated team of teachers who are available to partner people each week, giving everyone the opportunity to practice and have a great time. Anybody who has enrolled in one any of our adult social dance classes gets free admission into our Wednesday night social dance. Otherwise, it's $16 per person for a great night of dancing! Come and join us on the 3rd Saturday of every month for our monthly Saturday night social dance, commencing on September 15th! Entry into the dance is $15 per person, which includes tea, coffee and a light supper. You may BYO or there is a licensed bar and restaurant downstairs for your convenience. In addition to our kids classes, we also provide specially designed classes for children aged between 3 and 6 years. 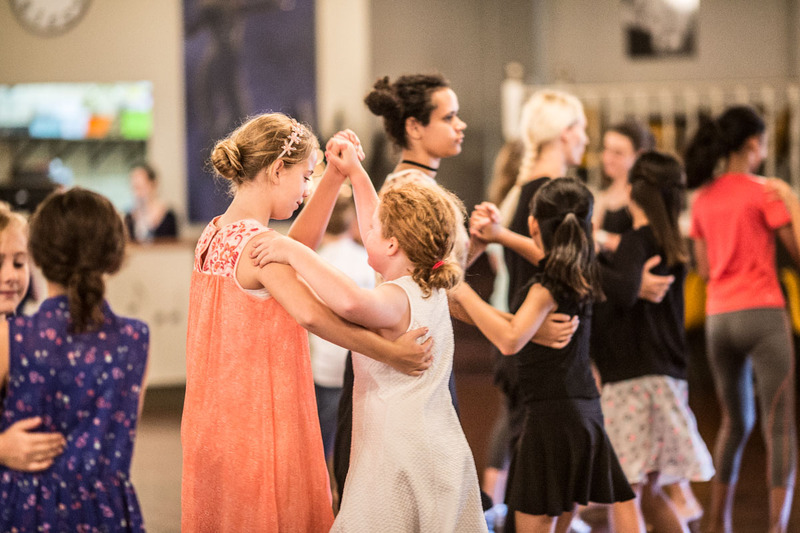 These classes are designed to introduce younger children into the world of dancing, focusing on co-ordination and rhythm, using some of the introductory social and progressive ballroom and latin dances. 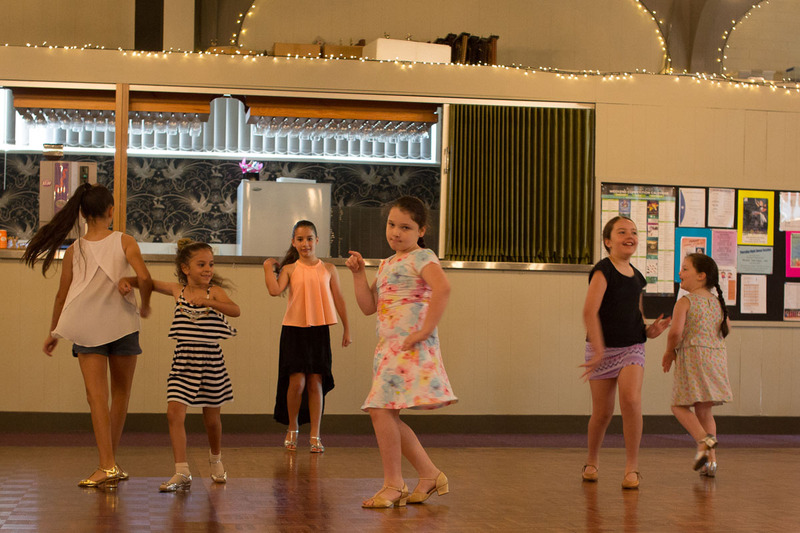 Our tiny tots classes are a lot of fun for children, and provide children with the confidence to then get up during the social dance (which follows the class) and dance some of the dances they have learned during their lessons. Tiny tots classes are from 9-9.45am each Saturday. 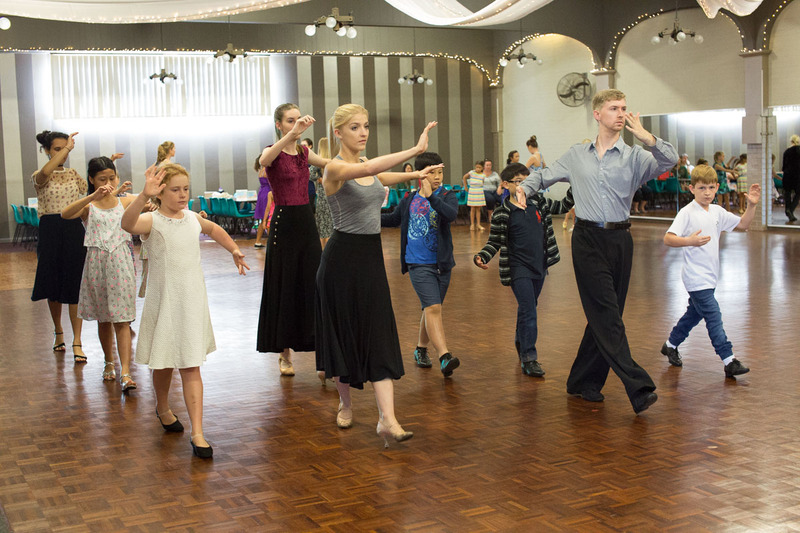 Each class costs $16 per week and includes the 45 minute social dance which runs from 9.45-10.30am. Please contact the studio for more info! 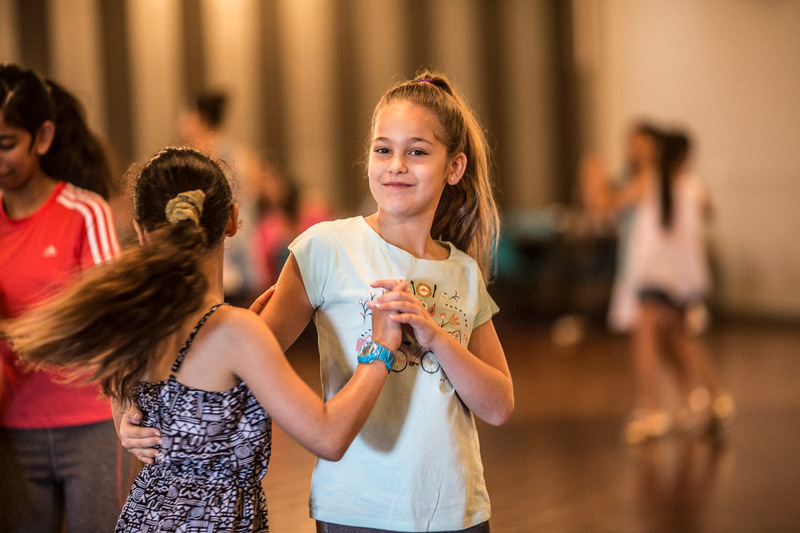 These classes focus on teaching kids correct ballroom techniques in a fun, supportive and friendly environment. Each class focuses on getting students ready for the end of term medal exam, with the students moving through from bronze level medals to gold or even star level medals. 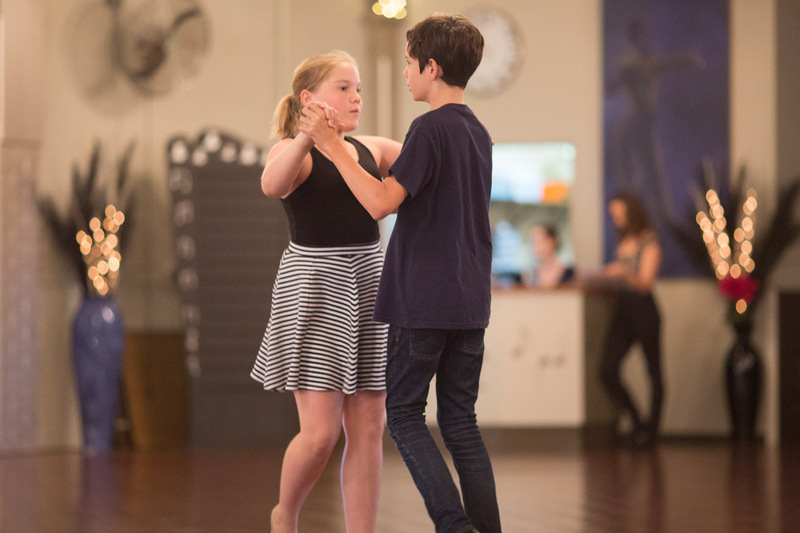 Our kids classes are extremely popular, and provide a fantastic base from which to grow from - many of DancePower's top competitive couples started off completing their medal exams! Medal classes cater for students aged from 6 to 17 years, and we have a dedicated 'Tiny Tots' class for children between the ages of 3 and 6. The cost of each week is $16 per student, covering a 45 minute instruction class, and a 45 minute social dance.